Maintain appropriate student-teacher ratio and track teacher performance. There is a continuous rise in the cost of student recruitment and depleting budgets. Education institutes are facing an acute challenge of providing quality education. Maintaining right teacher to student ratio is important to enhance outcome. This directly affects the budget. Managing employees at various levels is critical to control cost and focus on the crucial outcome. These objectives can be achieved by getting a detailed insight into the functional metrics that represents total employee strength. 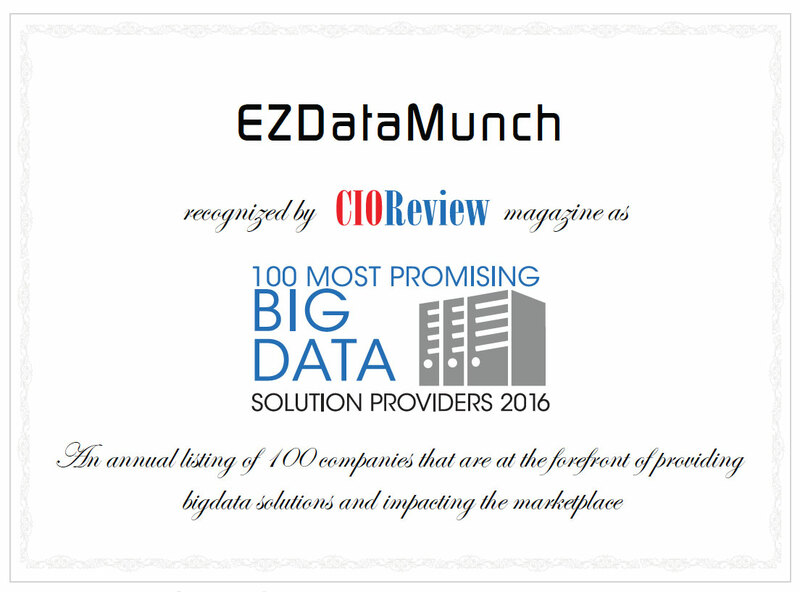 Real-time insight as per employee categories and designation help to make informed decisions and control cost. 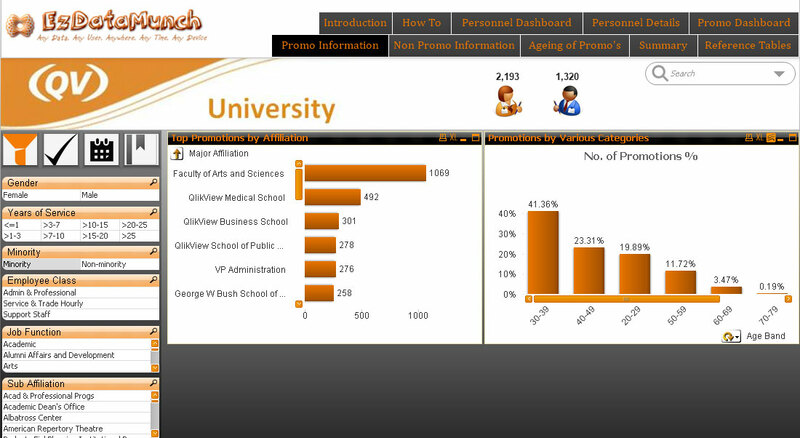 With EzDataMunch’s education analytics solutions, institutes can analyze end-to-end staff profiles. These profiles can be filtered further as per the tenure, age, gender, employment category, salary, promotions and more to make appropriate staffing decisions, enhancing student outcomes and control cost. With reducing budgets and increasing costs, education institutions are in a mix as they need to provide high quality education and manage staff cost. A detailed insight into various metrics like staff age, work tenure, promotions and more helps in understanding the trends and cost and to take appropriate decisions. Get a bird’s-eye view into the total number of employees and further drill down as per gender, tenure in the institute, whether belongs to a minority group or not, differentiate as per employee class, understand job role and sub affiliations. Vertical and horizontal histograms to analyze total promotions which can be further broken down as per the department and location and percentage view to understand the numbers. Analyze promotion trends by comparing total promotions with total resignations till date and total promotions as per the industry standards. These education analytics dashboards represents a drilled down view of total staff. 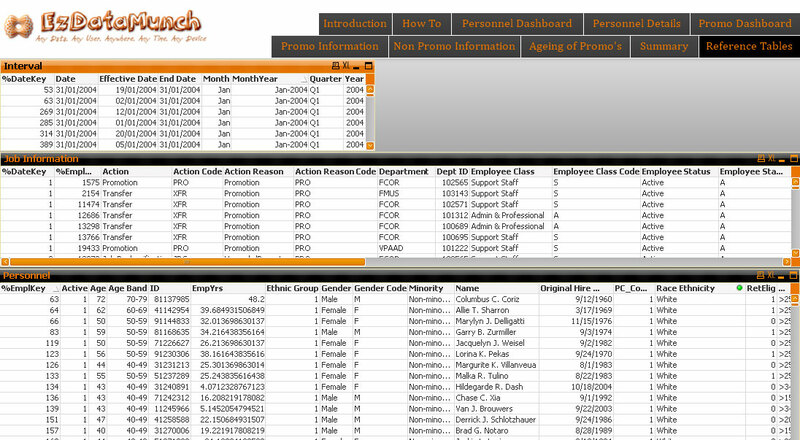 Analyze complete action items such as promotions, transfers or downsizing of all the employees. 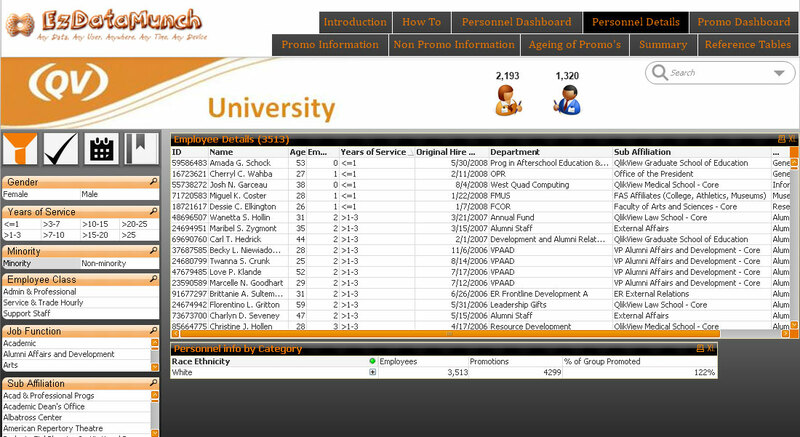 View end-to-end personal insight of staff based on criteria such as age, gender, work tenure, employee class, job functions, promotions, ethnicity, and more. Filter the report as per state, district, school level, department and sub affiliation for more details.